Fantastic price adjustment! Beautiful fresh paint awaits you in this awesome Signal Mtn home! Looking for the PERFECT In Law Suite?? You can stop looking...Because this is it!! 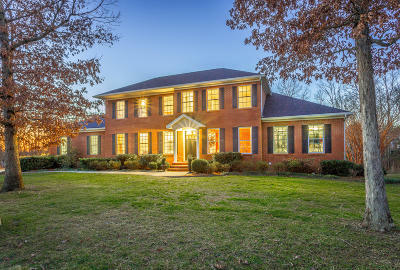 Come view one of the more interesting and well designed homes on the market on Signal Mountain! 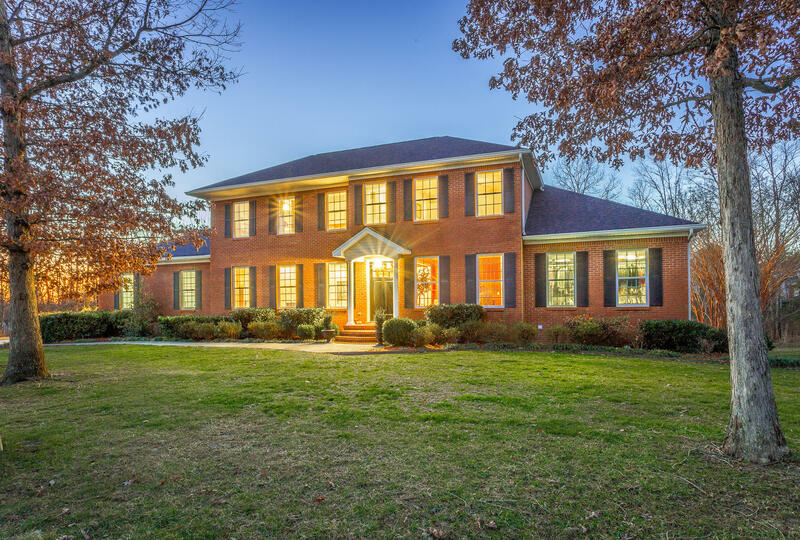 Upon entering this stately all brick home, you'll find hardwood floors with a Study/Parlor to your right, and a beautiful arched doorway ahead. Experience the ''wow'' factor when you enter the open concept living space which showcases notable features such as a soaring cathedral ceiling rising above the huge granite island with seating for 5! This space includes kitchen, dining area, corner work station, and comfy cozy seating in front of a gas log see-through fireplace, which adjoins the spacious dining room. The master bedroom is located on the main level, as is a cozy and very convenient guest bedroom. The screened porch on the main level is the perfect size to enjoy with friends and family. Upstairs you'll find three bedrooms and a large, well appointed laundry room, which offers granite countertops and plenty of cabinetry and shelving. You'll not believe what the lower level of this home offers. It is the perfect in-law suite! (Some would call it a basement, but the word doesn't do it justice!) This walk-out space is designed with "main level" finishes, and is one of the best lower level floor plans you will find. It is so spacious, and it works perfectly as guest quarters or teen hangout with its game room, beautiful bath, and two bedrooms. In addition, its ample kitchen is equipped with granite countertops, beautiful cabinetry, and plumbing for standard size kitchen appliances. Also this area is plumbed for stackable washer and dryer. As a bonus, the stone fireplace with gas logs provides a beautiful focal point for the den area and game room. Lastly, there is a workshop accessible by a garage door and has plenty of storage! There is no shortage of parking for friends and family with the large, oversized driveway and the three car garage. Make your appointment to see this wonderful home soon. You'll not be disappointed! Tankless water heater was installed in the summer of 2018, Second level hvac was replaced in 2016, and the first level hvac was replaced in 2017. First and second level hvacs are gas heat and the basement level is a heat pump.